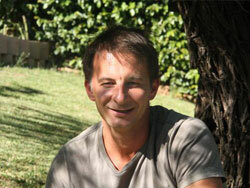 Andre Conradie is a most knowledgeable guide and has been a member of the team for several years. With over a decade of experience he is happy to talk about art, history and politics of the country as well as wine.Visitors from all over the world have complimented him for our Wonderful Winelands and Captivating Cape Town tours. Both Captivating Cape Town and Wonderful Winelands tours include pick up and drop off at the clients' hotel and all tastings, lunch and estate fees. The cost is from £165.00 per person* and bookings are essential. Visitors wishing to see the South African winelands are being encouraged to make early reservations. These can be made by email or phone to the admin department on 00 27 21 761 7687 or alexmark@mweb.co.za. Bookings are now being received for as far ahead as the end of 2020. For those who cannot choose between the two tours and would like to enjoy both, there is a 10% discount per person. * This rate is subject to change and is dependent on exchange rates at time of reservation. Please type the code displayed into the text box provided below. This helps us prevent automated form queries.